The path to becoming a successful health system CIO has changed over the last five years. More healthcare IT achievements are expected of CIO candidates, and competition for the top jobs is fierce. What goals can you make for yourself if your aim is to ascend to a new position in 2013? What do you need to have to become a sought-after CIO candidate? Clients are looking for CIO candidates with industry-wide recognition as well as other attributes and experience. There are now measurable statistics to rank organizations and CIOs on key gold standards of IT achievement. If you have achieved recognition, make sure these items are noted on your resume. HIMSS Analytics Stage 6 or 7 — as of the third quarter of 2012, only a few more than 500 hospitals, or less than 10 percent of the U.S. facilities, have obtained this recognition for their EMR Adoption Model. 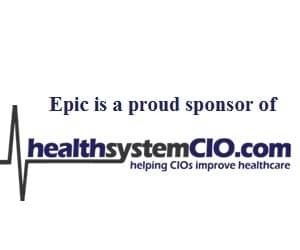 CPOE and Meaningful Use adoption — a goal of at least 85 percent CPOE sets a CIO and organization apart and having successfully achieved Stage 1 Meaningful Use. CHIME Certified Healthcare CIO Program — a must-have achievement; more than 150 CIOs and IT leaders have obtained this certification despite the fact that the program is only three years old. Advanced degree — a Master’s degree, MBA, MHA, or degree in Medical Informatics is now required for most CIO or even Associate CIO positions. Put these on your 2013 bucket list and make them happen.